Bedroom Windows - Weaver Exterior Remodeling | Get a Free Quote! Your bedroom is one of the most important spaces in your home because it’s your personal space. But because people often entertain in their living rooms or kitchens, bedroom windows get put low on the list of window renovation consideration. Well, think again! At Weaver we can custom build and install several types of bedroom windows to make your personal space as comfortable as possible. Single hung vinyl windows are a classic choice for bedrooms. Tall and narrow, they are perfect for bedrooms that don’t have a lot of available wall space. Great in the summertime, single hung windows allow for air circulation, and our energy efficient options prevent heat loss in the winter. Single hung vinyl windows are easy to clean, easy to operate and are incredibly secure. A double hung window is similar to a single hung but it has two moveable window sashes instead of just one. 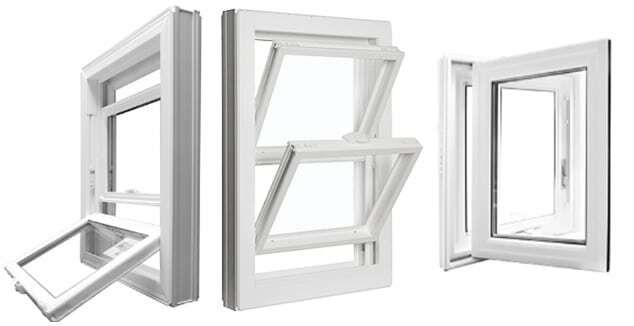 Double hung windows allow for even more air circulation than single hung windows because they open from both the top and bottom, allowing hot stale air to exit at the top and cooler air to enter at the bottom. Equally as secure and easy to operate as single hung windows, double hung windows are a great choice if you want a bright and airy bedroom. Casement windows are another classic bedroom window installation choice. Casement windows are hinged to one side of a window frame, either left or right, and they open outwards by turning a crank. New casement windows provide the best seal against air infiltration because the window sash is pressed and locked so tightly to the window frame. Vinyl casement windows are user friendly and when paired with the right hardware, create a sleek and modern style. Weaver Exterior Remodeling are your bedroom window installation experts! We are proud to help our clients in Barrie, Innisfil, Bradford, Newmarket, Collingwood, Owen Sound, Gravenhurst, Orillia, East Gwillimbury, West Gwillimbury, Alliston, Midland, Parry Sound, Tottenham, Angus and surrounding areas.